Gravel riding has become immensely popular in the last few years. Gravel bikes have a more relaxed frame geometry than a traditional cyclocross bike which means riding longer distances won't be as taxing. When Argon 18 created the Dark Matter, they didn't just want to create a cookie cutter gravel bike. They wanted to create something that felt as fast and responsive on the trail as it would on the road. Their mission was accomplished. The 2018 Argon 18 Dark Matter is a gravel bike that feels at home in almost all terrains. 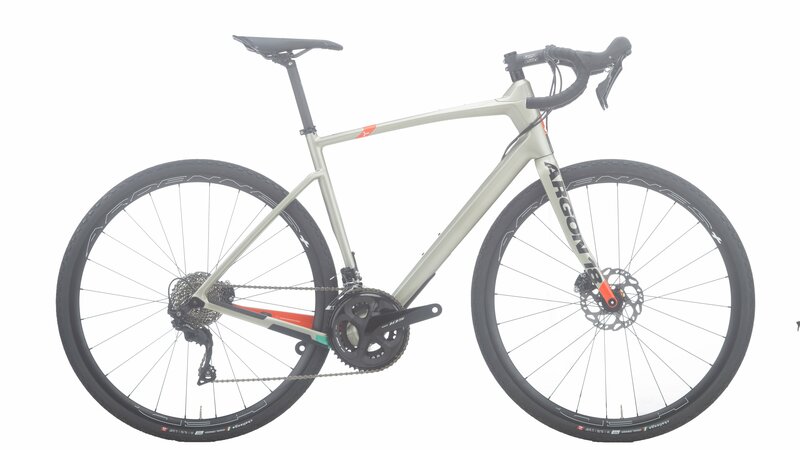 It features a longer wheelbase than their endurance bikes, but still shorter than most other gravel bikes that have an equivalent tire clearance. It has a monocoque carbon fiber frame and fork that has a 54mm rake on the smaller frames and a 49mm rake on medium, large, and extra-large frames. The frame uses flat mount disc brakes with either 140mm or 160mm rotors and the frame has tire clearance for up to 45mm wide tires, or 40mm with fenders mounted. 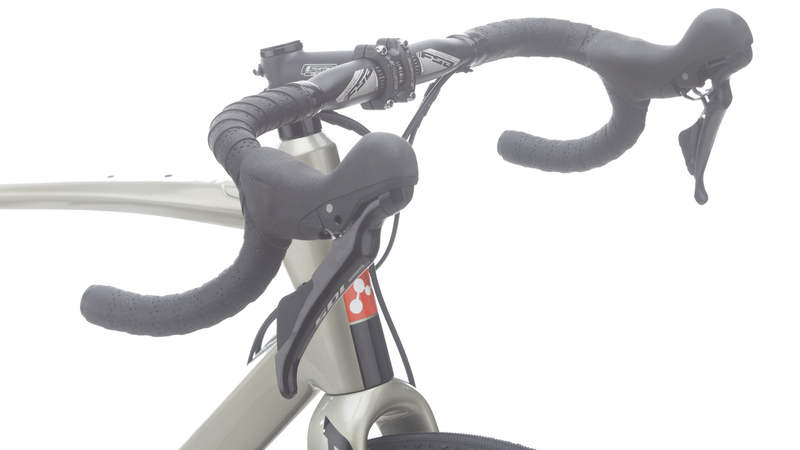 It has a TDS-C seatpost that offers compliance and comfort. Lastly, the frame has a downtube protector and internal cable routing. This model of the Dark Matter comes with a Shimano 105 drivetrain that includes a 105 crankset, shifter, and front and rear derailleur. 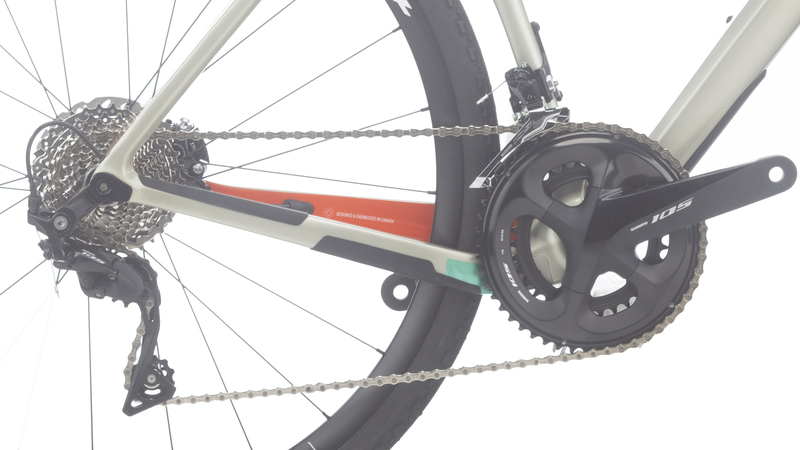 The cassette has an 11-34 tooth gear range and the crankset has a 50 and 34-tooth chainring. This combination is perfect for gravel grinding and racing while still providing ample climbing gears. The Shimano 105 hydraulic disc brakes provide excellent stopping power needed for long descents so riders will have the confidence to bomb down the mountain once they ride to the top. The HED Ardennes GP Plus Disc wheels are paired with Challenge Gravel Grinder 700x38 tires which provide excellent traction in most situations. 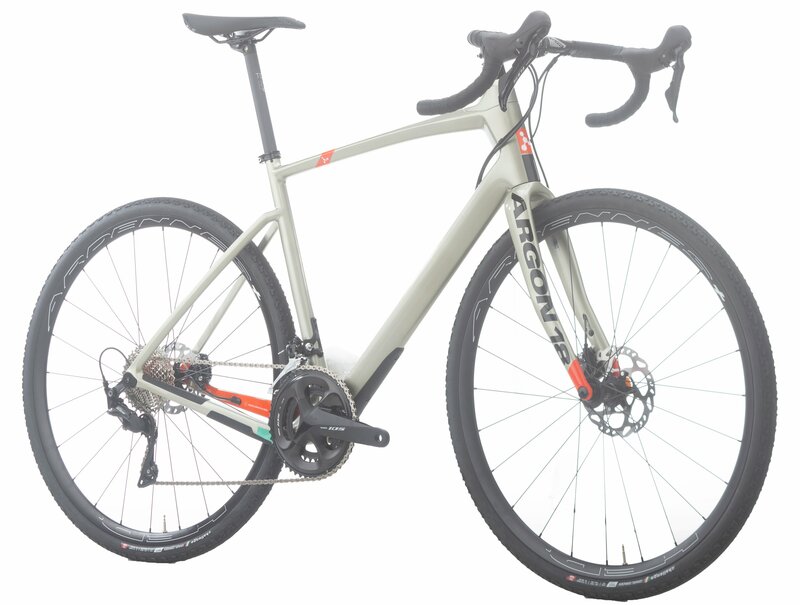 If you're looking for a gravel bike that you can race on or cruise down the local bike trails, then you'll love the Argon 18 Dark Matter 105 Bike.